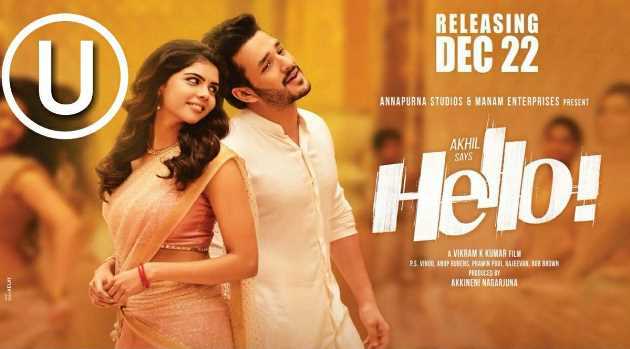 HELLO Movie Censor Report: Akhil Akkineni is all set to test his luck once again after a gap of two complete years. The movie has been titled Hello and is directed by Vikram Kumar. Actress Kalyani Priyadarshan is making her debut as the female lead with the movie which is said to be an action entertainer. Anup Rubens composed the music and the audio of Hello is a smashing hit already.Senior actors Jagapathi Babu and Ramya Krishna playing other lead roles in this movie. 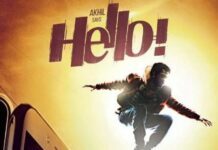 The Hello movie has been carrying a huge buzz and the makers are busy promoting the film all over. The Hello movie completed all the censor formalities and Hello has been issued clean ‘U’ certificate from the censor board. The film has been passed without any cuts and Hello has been left with heaps of appreciations. 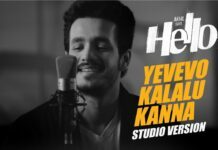 A massive Hello Movie pre-release event has been planned to take place on December 20th in Hyderabad And Megastar Chiranjeevi will be the special guest and Akhil Akkineni will perform live before Megastar. Hello Movie all set for release on December 22nd.